The Martin Family from Kingston, Ont., decided to have an inground pool installed. However, what was to happen over the next 130 days with respect to their pool installation would leave many in the industry shaking their heads. Carefree Pools Ltd., along with a team of product and service supplies, made sure this family’s pool was installed before the end of the season. Thank you so very much for our backyard oasis, we never dreamt it would turn out so beautifully. Thank you for your insight and suggestions in the early stages, as well as help in making decisions along the way. Your team was great to work with and always left the job site tidy. We were very pleased that Carefree Pools would take care of the complete build of this project, from the initial drawings and ideas to the installation and the final finishing. The in ground pool, pool shed, pavers, lighting and ornamental fence just look amazing and low maintenance, giving us more time to enjoy our backyard. The fire pit was a nice touch too, thanks Steve! The whole job which took almost 3 months to complete was a joy to watch and we would do it all over again! Thank you for “making it happen”. 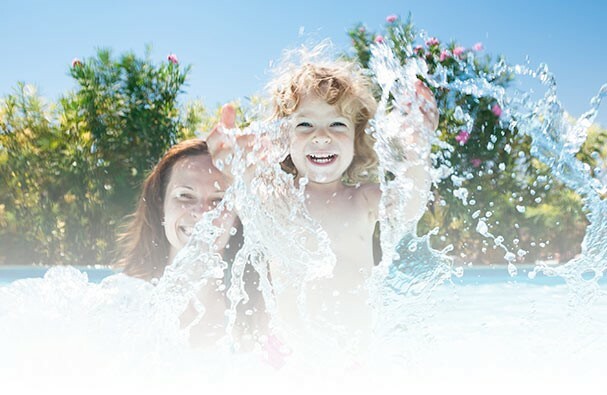 Your after sales and service have been very helpful in assisting us with the water tests and suggesting what to use in our pool, we will highly recommend Carefree Pools to our friends and neighbours. See you on the next project!